As the only Schick Dental Certified Service center in the United States, Vacalon has the ability to provide cutting edge support. 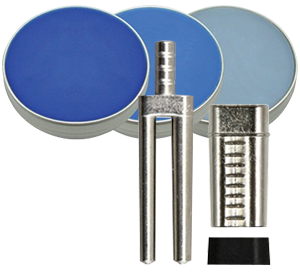 Outfitted with the latest tools our facility uses only Genuine Schick Replacement Parts, in addition to offering loaner units and quick turnaround to keep your business running. What equipment do we repair? 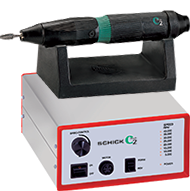 Currently our Schick Dental Service Center repairs all Schick equipment, as well as the Microstar V-40. This includes C-Master handpieces, control boxes, G-Series model production equipment, and S-Series milling equipment. In addition we are able to service all previous models from the Schick product line. This includes items such as the C1-Junior, SM Series and the C2-Profi. We are also able to make non-warranty repairs to Schick equipment that may have been sold under a different name or brand. The person who uses the handpiece on a daily basis will be the first one to know when something is not right with the handpiece. If you start to feel something change in your handpiece, whether it is a strange noise or you feel your handpiece is not running smooth, it is time to give us a call. Trying to repair a handpiece on your own does not make sense, in fact sometimes trying to self repair a handpiece will make the problems worse, or void the warranty. Let our service technicians fix your equipment, while you focus on more important tasks. In order to give you a complete and accurate estimate your handpiece must be fully disassembled and tested; therefore we charge a small quotation fee. That fee is completely waived if you choose to proceed with the repairs. Our technicians have trained at the Schick factory in Schemmerhofen, Germany which enables us to return your handpiece or other Schick equipment to you running like new. With excellent service, fair pricing, loaners and quick turnaround you can't go wrong with our Schick Dental Certified Service Center. How to start the repair process? You can call our service department today for complete details at 800.729.8192 or email to technical@vacalon.com. Please do not hesitate to call if you require further information or want to request a loaner unit. 3. We will contact you when we have received and diagnosed your equipment. If you require any special services, rush service or have any questions please contact us before sending your unit or please note these special requests on the Service Request Form. Need to get your older Schick C2-Profi or Microstar® V-40 repaired? We use only genuine Schick parts to repair your handpiece and offer complimentary loaners, making sure you stay up and running. Contact us today to find out how to receive a free repair estimate. Offer applies to most Schick equipment. Certain restrictions may apply. Offer valid through December 31st, 2019.